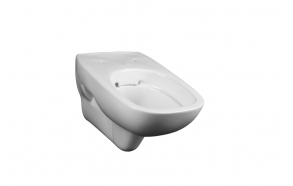 This product combines wall hung wc and wall hung bidet with faucet. 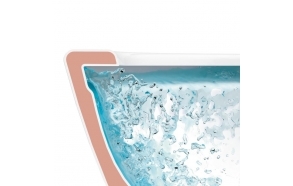 There is a single lever faucet integrated to the wall hung wc, with hot/cold water regulation. 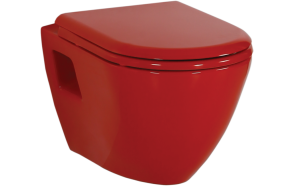 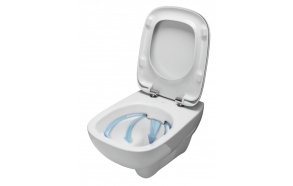 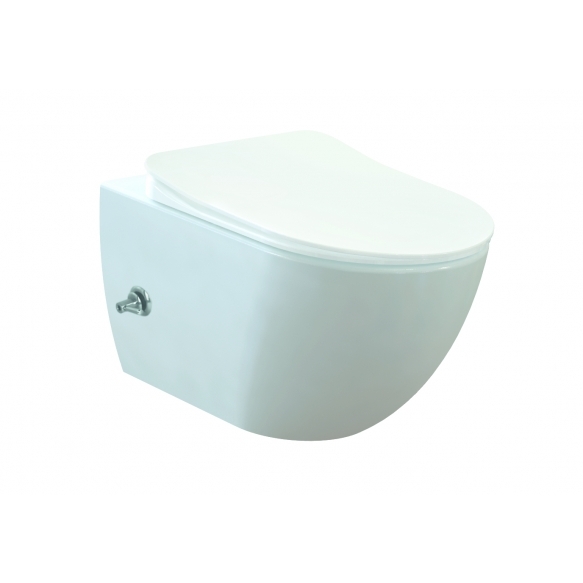 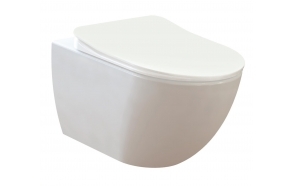 The spout is integrated into the centre of the back side of toilet rim. 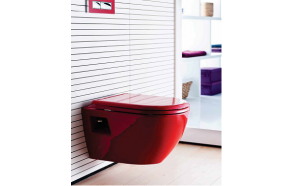 In the back of wc there are flexible hoses of the faucet, which are to be connected to the central water supply. 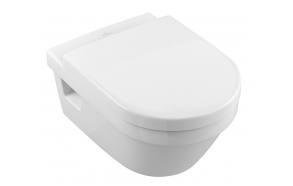 This new solution saves your space and money.